A modified version of the North American Aviation NA-16-2K advanced trainer (also known by it's NAA accounting code NA-33) was produced under license by Commonwealth Aircraft Corporation as the Wirraway. A total of 755 Wirraway aircraft were delivered to the RAAF by CAC. The Wirraway was produced in 3 distinct versions (Wirraway Mk I, Mk II and Mk III) under 7 different production contracts (CA-1, CA-3, CA-5, CA-7, CA-8, CA-9 and CA-16). For more detailed information about the Wirraway, click here to view the Wirraway Technical Information page. For more details about the development of the Wirraway, click here to view the CA-1 Wirraway page. 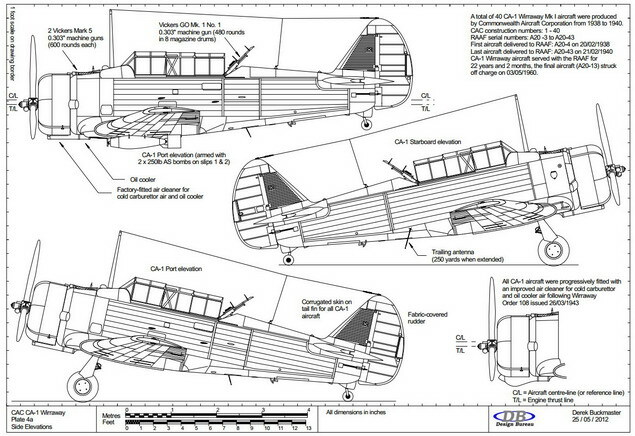 This is a series of drawings providing details of the construction and dimensions of the Wirraway, as well as showing the differences between the versions. These drawings have been carefully researched from factory manuals and hundreds of measurements taken from actual aircraft. This station diagram shows a series of reference stations which define the geometry of the fuselage. Click on the thumbnail to open a PDF file formatted for printing on A4 paper (approximately 30 KB in size). 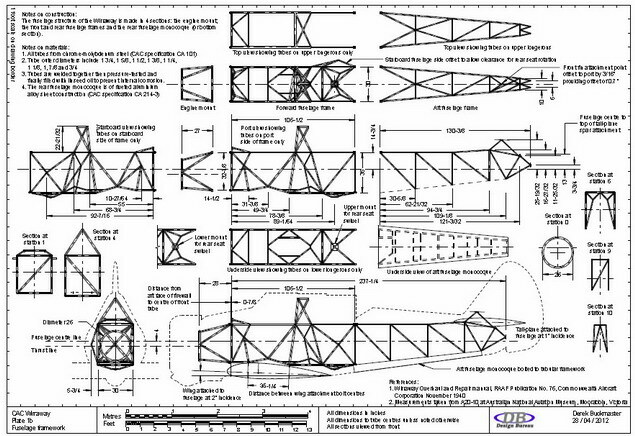 This drawing shows the geometry and dimensions of the Wirraway's welded chrome-molybdenum steel tube fuselage framework. Click on the thumbnail to open a PDF file formatted for printing on A4 paper (approximately 37 KB in size). 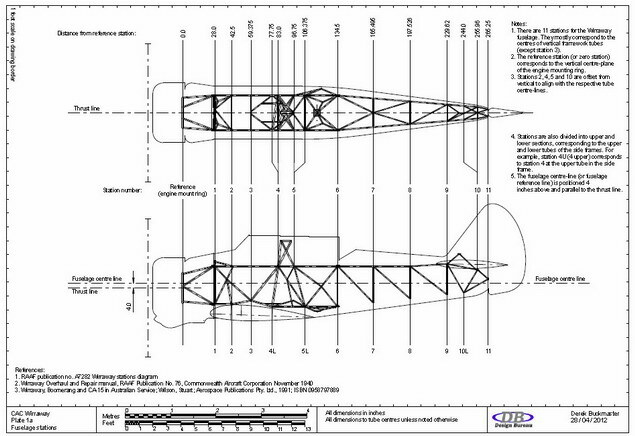 This drawing shows the geometry of the Wirraway wing structure, including rib stations and airfoil sections. Click on the thumbnail to open a PDF file formatted for printing on A4 paper (approximately 17 KB in size). 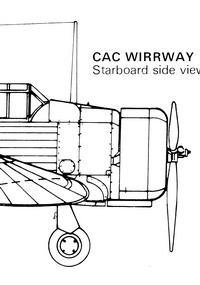 This drawing shows side elevations of the CA-1 Wirraway, showing the differences between the port and starboard side of the aircraft. Click on the thumbnail to open a PDF file formatted for printing on A4 paper (approximately 17 KB in size). 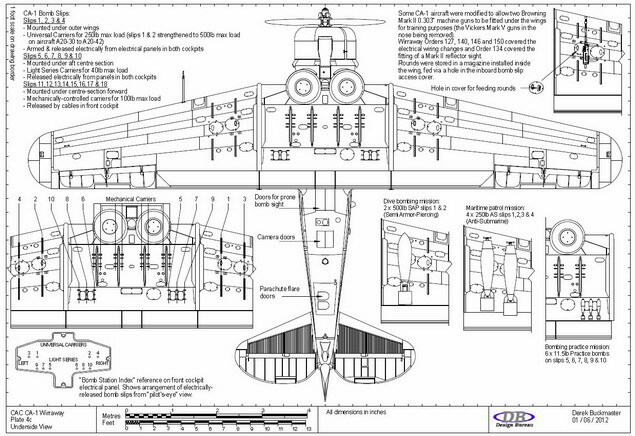 This drawing shows a plan view of the CA-1 Wirraway. Click on the thumbnail to open a PDF file formatted for printing on A4 paper (approximately 17 KB in size). 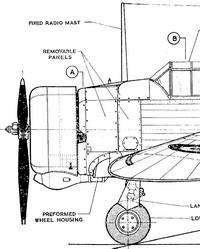 This drawing shows the underside view of the CA-1 Wirraway, including details of all the under-wing armament which the Wirraway could carry. Click on the thumbnail to open a PDF file formatted for printing on A4 paper (approximately 17 KB in size). 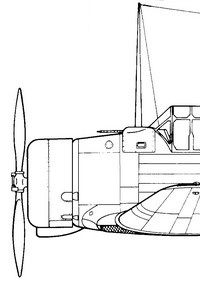 This drawing shows front and rear views of the CA-1 Wirraway, including details of the Pratt & Whitney R-1340 Wasp engine. Click on the thumbnail to open a PDF file formatted for printing on A4 paper (approximately 17 KB in size). In my research for the drawings of the Wirraway shown above, I have also collected a range of scale drawings created by other draftsmen. The list below provides some details and comments about these drawings (the drawings are listed by publication date, with the earliest at the top). Comments: This drawing shows details for a Wirraway Mk II (produced under contract CA-5), in the markings of A20-103 (the aircraft now held at the Australian War Memorial collection). Most noticeably, the engine cowl is drawn too long by 10.5"
In the plan view the fairing between the wing and fuselage is shown becoming wider in a curve towards the trailing edge. The actual fairing follows a straight line parallel to the centre of the aircraft along the top skin of the wing centre section. The curved front section of this fairing is also drawn incorrectly where it meets the wheel housing. 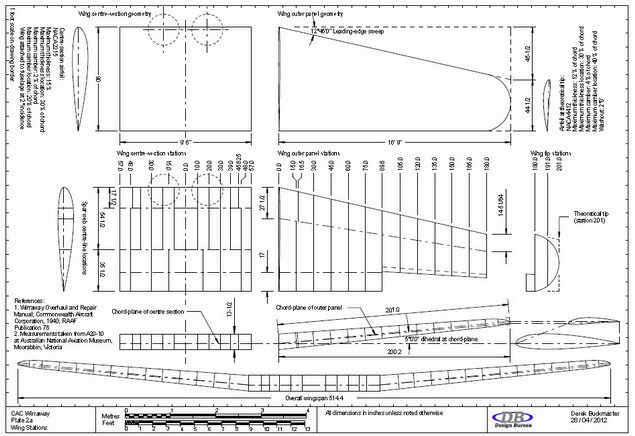 In the plan view the walk-ways on the wing centre-section are shown as panel lines, but this is incorrect. 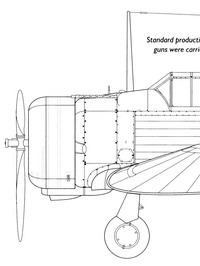 Comments: This drawing shows details for the CA-1 Wirraway Mk I, in the markings of A20-10 (the aircraft now held at the Australian National Aviation Museum in Moorabbin). 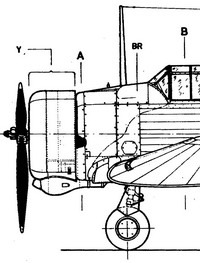 However the drawing shows A20-10 following an upgrade to the late-style oil cooler and carburettor air intake below the cowl (which became standard on the Mk III), so the drawing does not represent an "as-built" CA-1. The drawing was originally drafted at 1:24 scale (copies can still be purchased from Model Activity Press) and reproduced in the magazine at 1:48 scale. The angle of the windscreen is too "raked", at 50° from vertical, wheras it should actually be 44.7° from vertical. The fairing between the wing and fuselage is shown becoming wider in a curve towards the trailing edge. The actual fairing follows a straight line parallel to the centre of the aircraft along the top skin of the wing centre section. The curved front section of this fairing is also drawn incorrectly where it meets the wheel housing. The walk-ways on the wing centre-section are shown as panel lines, but this is incorrect. The propeller is listed as a "3 bladed controllable speed metal propeller" but the propeller is in fact "controllable pitch" for constant speed operation. The configuration of bombs indicated in the scrap-view is incorrect. The larger bombs (500lb Semi Armour Piercing bombs) could only be mounted on the inner universal carriers on the outer wing panels (wheras they are shown mounted on the outer carrier positions). Comments: This drawing also shows the aircraft A20-10 following its cowling changes but lists this as a CA-1, which is misleading. The drawings were published in the magazine at 1:50 scale. Comments: A port elevation is included in this book accompanying the chapter on the Wirraway and Boomerang. Comments: A 3-view drawing appears in Stewart Wilson's book, but no draftsman is noted on the drawing. The drawing features the "signature" style of Alex Pedashenko (particularly the tufts of grass on the ground-planes), and Stewart indicated that he had received several drawings from Alex, hence it makes sense that Alex was the draftsman. 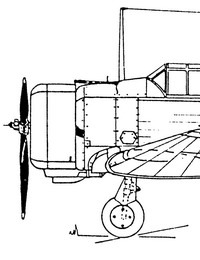 The drawing is listed as depicting the CA-3 and CA-9 aircraft (Mk II). Comments: This drawing shows details for several different versions of the Wirraway, however the views are not labelled. The drawings were published in the magazine at 1:72 scale. The same drawings were published in Air Enthusiast 50, alongside Owers' article about the Wirraway. 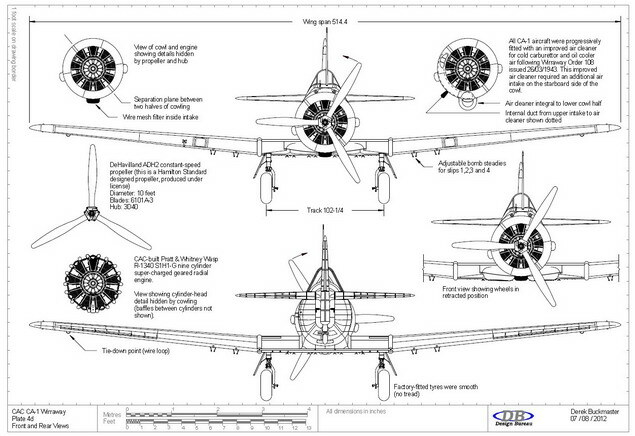 Comments: A small 3-view drawing by Joe Vella appeared alongside his article about the aircraft of CAC. 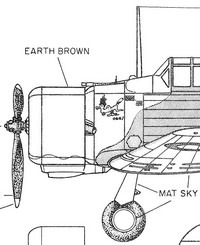 The drawing depicts the CA-16 aircraft (Mk III) and shows the differences to other versions. 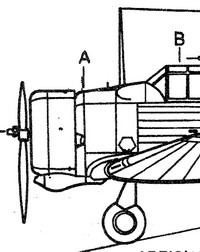 Comments: This drawing (perhaps drafted by Zbigniew Luranc, or based on his drawing) shows the CA-1 ribbed fin skin, but the later style carburetor and oil cooler air intake below the cowl on the same profile, which is misleading. 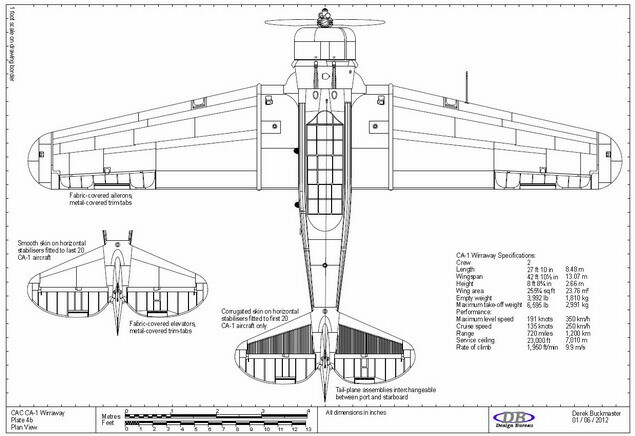 The drawing does however correctly show the different access panels and covers on the port fuselage side compared to the starboard side. 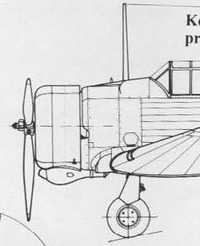 Comments: This drawing also shows details for several different versions of the Wirraway (Mk I, Mk II and Mk III) but again the views are not labelled. The drawings were published in the magazine at 1:48 scale.